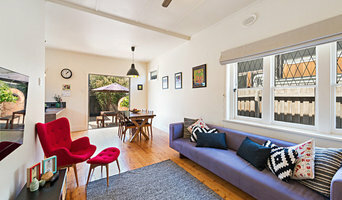 new homes, extensions, renovations, property development The livable housing design and sustainable features I apply to homes I build or renovate make them cost-effective to run and suit the changing needs of their occupants. With my personalised and focused approach and professionalism, each project transforms into a greener, more efficient and more comfortable home. Warrington Homes is a family run business with over 40 years experience in the building and construction industry. We are your specialist for quality, design and construction of your next new home, extension or renovation. 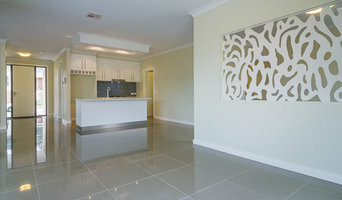 We are a specialised building company catering for creative and unique kitchen and bathroom renovations. We work closely with our clients to ensure that our designs and builds exceed your expectations and work as functionally as possible for you. Both Robin and I have a combined 50 years of knowledge and expertise in the high end domestic building industry. We are a small company and will only take on work loads that we can ensure will run smoothly and systematically ensuring that your house will be completed on time and to an above standard. Here at Carlisle, we do things a little differently than other builders. It has never been our goal to be the biggest. But we are committed to being the best. It’s our unwavering commitment and dedication to personal service that allows us to build homes of exceptional quality for each and every customer. Builders and designers of fine custom homes, specifically knock down and rebuild solutions, our experience and expertise has been demonstrated over 40 years. 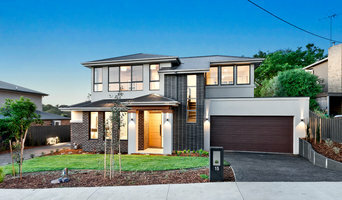 Mazzei Homes is the luxury custom home division of the renowned Better Living Group, a multi award-winning builder with specialties in aged care and education, government and boutique developments. Our commitment to quality, tradition and dependability are at the core of Mazzei Homes. We value the relationships we build with our clients and we place the customer at the centre of everything we do. We understand that our clients look for expertise, flexibility and value. We are committed to your vision and proud to offer you total peace of mind during this exciting milestone in your life. The men and women of Mazzei Homes are committed to delivering excellence. Whether it is the way our carpenters meticulously finish your house frame or how our building supervisors assess each home like it is their own, our team’s zeal for precision and service allows the shared vision of client and design to be fully realised to the highest standard. 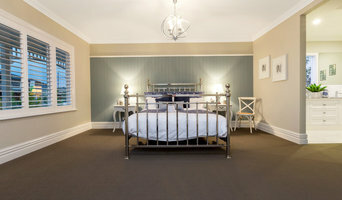 Acev Built is a building and property maintenance company based in Melbourne. Our qualified tradesmen come with extensive experience and undertake all types of work in a professional manner, with a focus on quality workmanship. Our team carries out all types of repairs from new construction, renovations and extensions, domestic and commercial maintenance. We strive to provide you with an efficient and effective service and are dedicated to comprehensively managing your job from start to finish. Based in Melbourne, Australia, MaC Consultants is a provider of project management, property renovation and maintenance services to the commercial and residential sectors. We have a team of qualified and experienced tradesmen that can manage the renovation process end-to-end, from planning, design and construction through to handover. MaC Consultants delivers tailored, flexible solutions to meet the needs of each of our clients. We are recognised for our excellence in customer service, commitment and communication. From concept to construction we work with you to realise your dream. Whether it be an investment property or your dream home let us take the guess work out of the building process. We offer a full residential design service. August Projects' Construction and Design teams work together to deliver amazing results while working within your budget. Contact us for a consultation. With years of industry experience, we are able to understand that each project requires it’s own unique and individual lifestyle reflected by our clients’ needs and wishes. Managing Director, Ben Leury, is a meticulous builder who strives to deliver perfection and a quality product, knowing that it’s the little details that make all the difference. By creating our collaborative client approach, it allows us to truly reflect individual and specific requirements, work within varying budgets and ensure that our clients achieve their ultimate dream home. Our longstanding relationship with all trade facets creates reliability and exceptional craftsmanship in each build. At Yum Homes, we work with a qualified team of architects, planners and designers. We offer custom home design solutions giving you the opportunity to work with our qualified team to customise your new home and to select your inclusions and upgrades. Deciding to build a new home can be difficult but also exciting and very rewarding. Let our team guide you through the process and match you with the home that is perfect for you and your family! We are committed to providing you the best with our qualified staff and experts in the building industry. 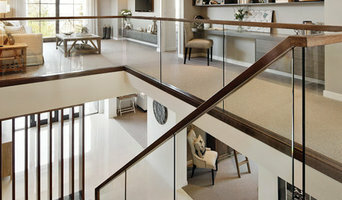 Explore our exciting new home design options and contact us for assistance or further information. Established since 2000 and having a small focused team with a limited production volume of 15 homes per year, BH Prestige Homes focus on the client rather than volume. We use the same team of tradespeople for every job leading to both consistent and high quality workmanship. It is the quality of the finishes and the craftsmanship that separates BH Prestige Homes from its competitors. Our homes stand the test of time and provide a noticeable point of difference from most current homes.